Within the last decade, Santos Grills developed from being just a name to a brand, which stands for unique service quality and professional competence. 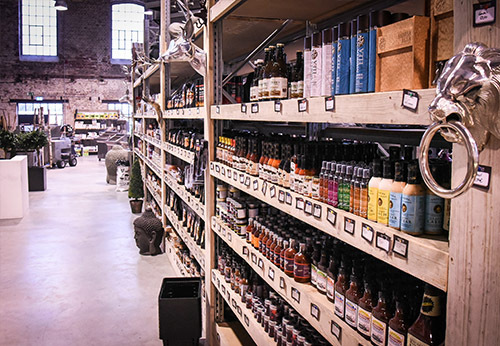 Our store is managed and staffed by experienced and knowledgeable barbecue lovers who can recommend the best products for your specific needs, as well as they can provide you with tips and information that will improve the quality of your barbecue cooking. 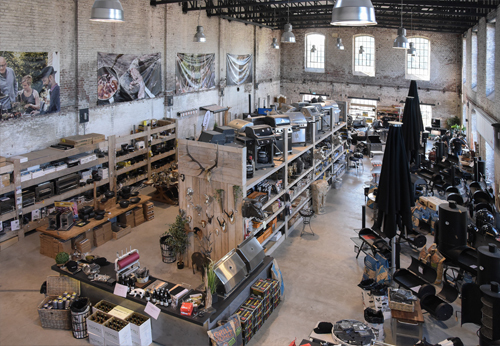 Whether you are about to buy a new grill or looking for new accessories for your upcoming barbecue - our staff is on hand to show you the world´s biggest BBQ selection of grills, including a huge variety of barbecue equipment. 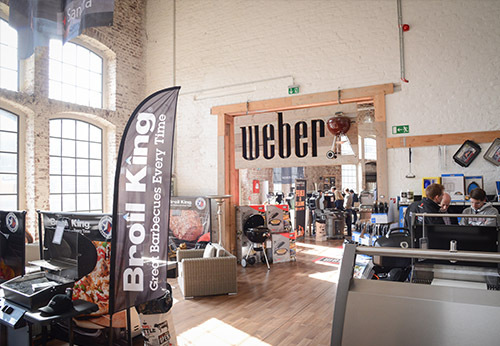 Specialised in both, gas grills and charcoal as well as pellet grills and smoker, we stock a high number of various brands, like Weber, Broil King, Napoleon, GMG, Fire Magic, Sunstone, Monolith, Big Green Egg, Brennwagen and many more. No matter what kind of barbecue you choose, we will be happy to supply you with everything you need to purchase your new grill online or at our retail store in Cologne, Germany. For whatever grill you own, we feature the very best assortment of grilling equipment, tools and ingredients, which gives you the ability to grill almost anything on your barbecue in any style you desire. 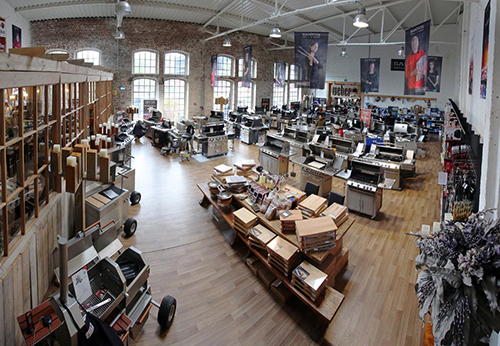 From racks and roasters, chunks and chips to griddles and toppers, as the world´s largest BBQ store we have a full range of grilling supplies (or accessories) that will make your experience of grilling amazing. 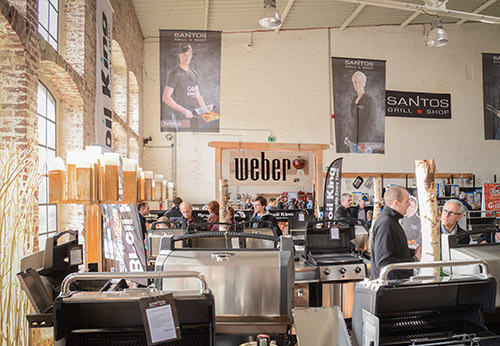 Come and check out Santos Grills in Cologne, Germany and explore our 1200 square meters showroom with more than 400 various grills - most of them to take right away. The quality of our products and services are the characteristics that define us, and we are fully committed to them. So if you have any questions concerning our products or service, please do not hesitate to contact us. Our experienced and trained staff ensures that your needs will be fulfilled. Besides our large selection of grills and supplies we also host grilling classes and private parties, like anniversaries and business events. Our barbecue classes are available throughout the year and we are currently welcoming more than 30.0000 guests per year. Whether you are an enthusiastic backyard barbecuer who is eager to grill it to the next level or an ambitious first-timer who wants to impress family and friends at the next BBQ, Santos BBQ academy Academy will help you to achieve your objectives. Our passionate BBQ chefs can teach you how to grill the perfect steak, roast some crispy chicken, cook up delicious sea food, smoke fall-off-the-bone-rips as well as well as assist you in deciding for the right wood.Nevertheless, our main aim is to create a community where knowledge and experience can be shared. So join our BBQ-school and let´s have a little barbecue! 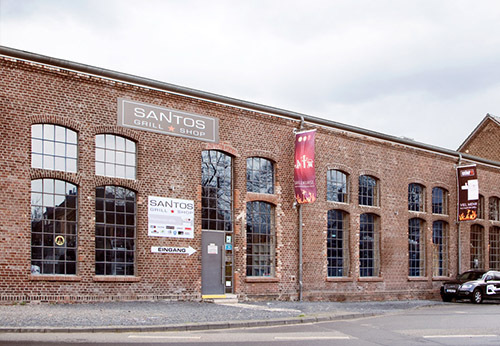 We thank you for your trust and look forward to welcome you at Santos Grills in Cologne,Germany, the world´s biggest BBQ Store. For customer inquiries , please contact us any time by mail at shop@santosgrills.de or give us a call at the following number 0049-221-630 722 20.